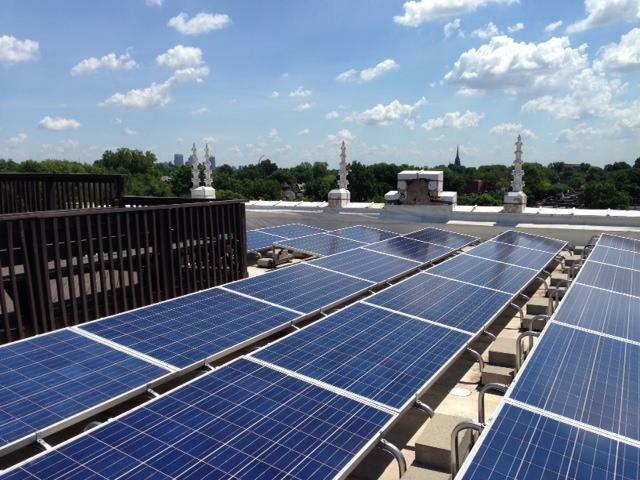 Solar panels on top of the Dickmann Building on South Grand Avenue in St. Louis. A voter-passed referendum from 2008 requires investor-owned utilities to pay rebates of $2 per watt to customers who get solar panels. (Read an earlier report on the rebate here.) 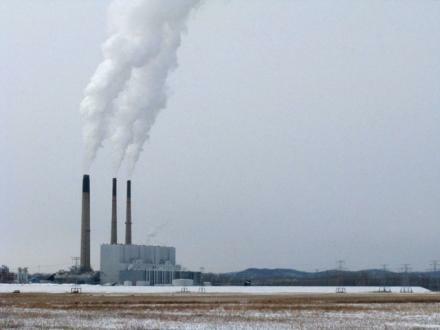 The lawsuit, filed Monday in Cole County, seeks to prevent the commission from ending the program, as requested recently by Ameren and Kansas City Power & Light. "The voters clearly wanted solar rebates to be offered for people who wanted to take advantage of them," said Stephen Jeffery, an attorney for the plaintiffs. "It appears that the commission and the electric utilities want to go in a different direction than where 66 percent of the voters wanted to go." A Cole County judge issued a preliminary writ of prohibition Monday, preventing the commission from ending the rebates altogether. A spokesman for the commission said he could not comment because the litigation is pending. But even if the program remains on the books, both Ameren and Kansas City Power & Light announced last year that they could no longer pay rebates because they had reached the 1-percent cap laid out in the rules. While the lawsuit does not take issue with the cap, Jeffery said the commission wrongly allowed the utilities to deduct possible future expenditures on renewable energy from what they pay in current rebates. 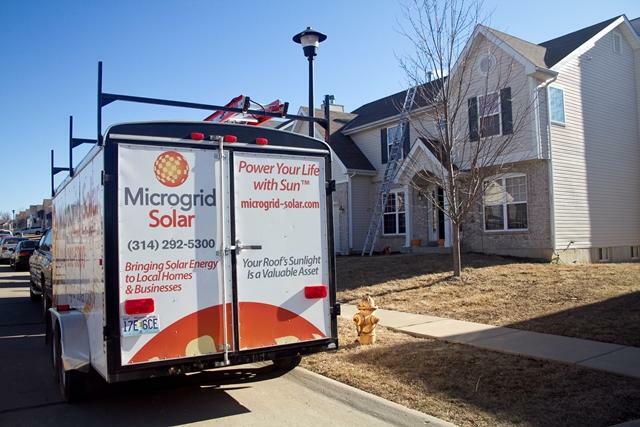 "If you eliminate these 10-year, forward-looking averages, which over-inflate costs in favor of electric utilities, we believe there have to be substantial revenue left over for solar rebate payments," he said. In the meantime, Missouri’s solar companies are scrambling to install the last solar panels approved for rebates. They have until June 30 to put the panels in and undergo state inspection. After that, industry officials say, it’s likely companies will have to lay off workers. 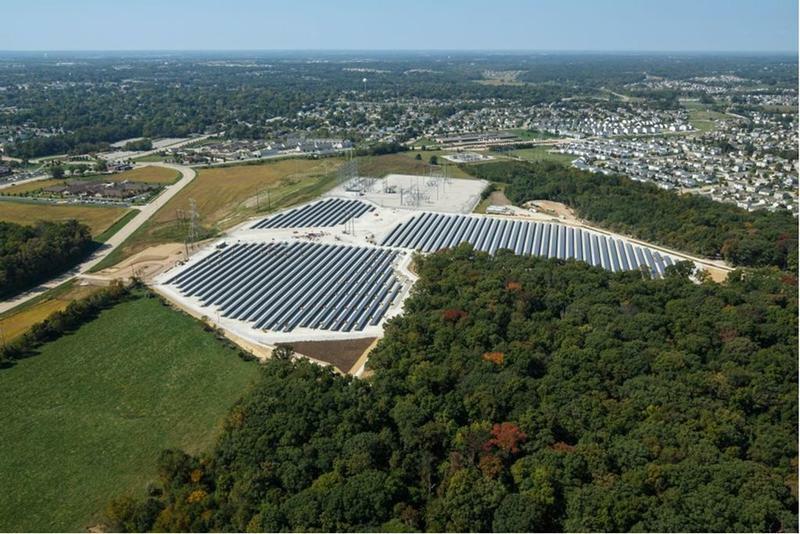 Ameren's solar energy center in O'Fallon is now in service. The 19-acre operation includes 19,000 solar panels and is currently generating six megawatts of power to the company's electrical grid. Those in Missouri’s solar industry are losing their sunny outlook. A combination of lower solar equipment costs, a federal tax incentive, and an attractive state-mandated rebate pushed sales through the roof in 2013. The solar industry reported an additional 1,700 jobs in the state. On Tuesday night at Harris Stowe University, St. Louis area residents will finally get a chance to weigh in on a utility battle that – one way or another -- will likely affect how much they pay for electricity.